I enjoyed a wonderful welcome from the Friends of the Tweed Regional Art Gallery on Thursday morning. Thank you to everyone for the warm and friendly welcome. For $10 we became Friends of the Gallery and got to find out lots of interesting facts behind the scenes. The tour of the collection (not on display) was amazing. Morning tea was delicious. And as a Friend we get all sorts of invitations, newsletters and fascinating news. I cant’ wait. The Margaret Olley exhibition will be coming (not sure when) so stay tuned. 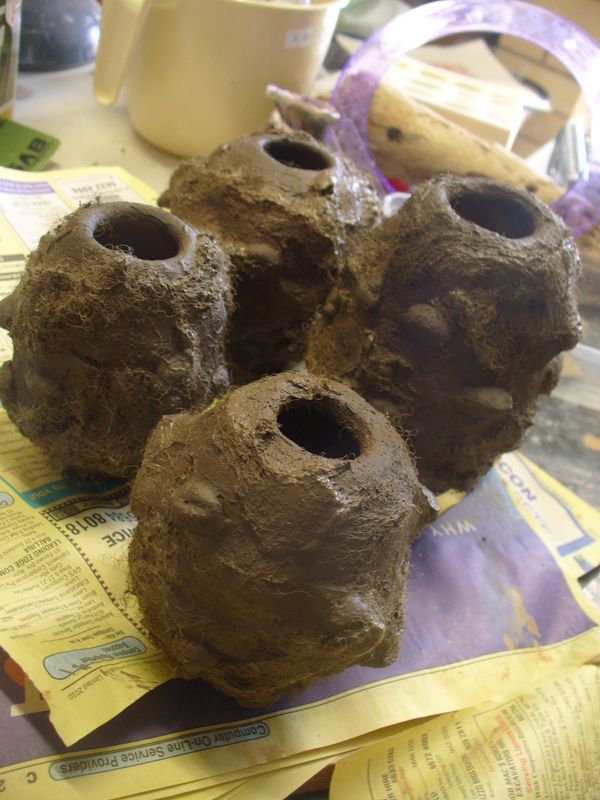 Enjoying my time in the studio, I have been working on my baby banksia’s and they are coming along nicely. Sneaky peek. And if you are in Mullum dont forget to visit Art Piece Gallery in the main street. There is a whole world of wondrous art just waiting to be taken home. Can anyone join the Tweed gallery? That sounds great! A bargain too! Thanks for the info on the Cube! Great blog post! congratulations on being curator of The Cube – great idea! Wish more councils would take that up!